Jungle Red Writers: A Rose is a Ross is a Rosa is a Rhys? A Rose is a Ross is a Rosa is a Rhys? HANK PHILLIPPI RYAN: It should be such an easy question. When I check into a hotel, the clerk asks: What's your name, please? Yeah....I have think--who am I here? The perils of having a legal name that's different from my usual name. Anyway. My mother told me she had planned to name me Alexandra (which is funny, when you read this blog) but decided when I was born that I didn't look like an Alexandra. How that makes sense she could never explain. But I bet it's kind of the same when authors name a character. We know what works, but we may not be able to explain exactly why. Sandra Parshall (Sandy to some...) explains it all--and, fabulously, has special info about the Reds. Naming a character in a novel can take longer than finding the perfect moniker for newborn offspring. A kid is a blank slate. You can pick out a name just because you like it, or you’re expected to pass it down in the family, and hope your son or daughter grows into it. Not many parents seem to consider whether their precious little Daisy will one day be six feet tall and big-boned. Characters, on the other hand, are already fully formed (or should be). Unless you’re going for a funny contrast, you have to fit the name to the person — the character’s age, social status, region of birth as well as personality and values. I can’t write about a character until I’ve named him or her, and if I make the wrong choice initially, I will have trouble with that character until I change the ill-fitting name. So I plow through baby-naming books. I look up the meanings of names. I consult the Social Security database of popular baby names in the US (http://www.ssa.gov/OACT/babynames/), which goes back to 1879, to get an idea of how many people my character’s age would have the same name. More than anything else, the sound of the name is important. I tried several names before I settled on Rachel Goddard, and the writing on the first book in my series, The Heat of the Moon, didn’t proceed smoothly until I knew exactly what to call her. This Biblical name, which is used in different forms in many languages, appeals to me because it’s simple and strong. It was in the top 20 baby names in the US during the 1980s, when Rachel was born. Deciding what to call Rachel’s younger sister was easy: Michelle has a light, pretty sound that suits the character. Their mother, Judith — well, let’s just say nobody ever called this woman Judy. Sandra Who? you know this. For naming secondary or minor characters, those who pop up briefly in a book and aren’t seen again, the Social Security database is invaluable if I’m going to describe the person mainly by age. but I know younger ones are out there, like Sandra Bullock, age 49, who was born in 1964. Alas, in 2012, the last year for which figures are available, our name had fallen to number 679. The reigning five were Sophia, Emma, Isabella, Olivia, and Ava. And how have the Jungle Red Writers’ names scored down through the years? Julia is the one with the most staying power. This Biblical name is found, in different forms, in many cultures, and it has been consistently popular in the US since the SS database was established, falling out of the top 100 in only a few years. It was number 26 in 1880 and 27 in 2001. In 2012, it was down to number 65, but if its past pattern repeats, it will rise again. Hank doesn’t show up as a girl’s name, although it’s made the top 1,000 boys’ names list for the past three years. Harriet (Hank’s real name), however, was in the top 1,000 until 1970, and the top 200 through 1946. Lucy, comfortably within the top 100 baby names from 1880 to 1924, has enjoyed a resurgence of popularity recently, rising from number 203 in 2004 to 66 in 2012. Hallie was popular in the late 19th and early 20th centuries, fell out of favor for a long stretch, but has been back in the top 1,000 since 1983. In 2012, it was number 525. Rhys — sorry, but it’s never been among the top 1,000 girls’ names in the US, but in 2012 it was number 476 on the boys’ list. Deborah and Susan are classic names that have usually been in the most popular 100. Deborah was in the top 10 from 1950 to 1962, rising to number two in 1955. Susan had an even longer ride in the top 10, from 1945 to 1968. Both have dropped in the last few years, though, and in 2012 Deborah was down to 797 and Susan was number 839. Perhaps a little campaigning among enceinte fans and family could bring them back up in the rankings? Have you looked up your own name on the Social Security site? http://www.ssa.gov/OACT/babynames/ How has it fared in popularity over the years? Do you think it suits you, or have you always wished your parents had chosen something else? HANK: I used to tell people my name was Hyacinth, but that was in grade school. If I had to pick a name for myself, for years, it would have been Charlotte. :-) But now, strangely, I am very happy with Harriet. Weird, huh? How about you? 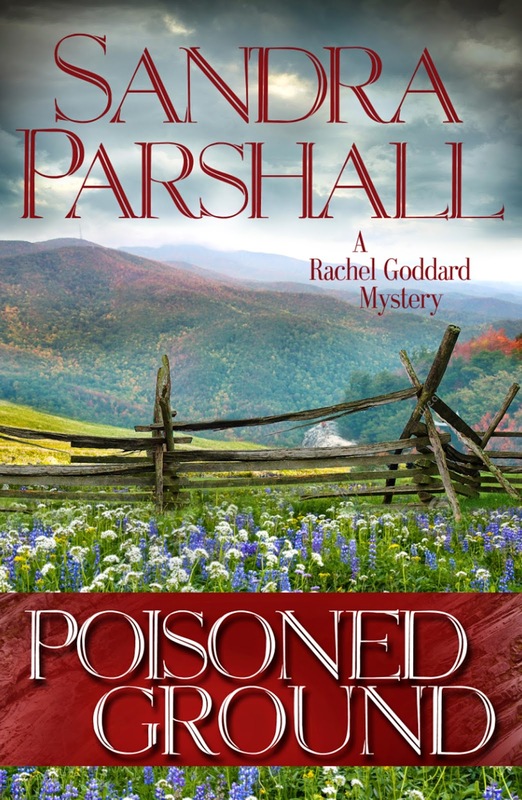 Sandra Parshall’s new novel, Poisoned Ground, is the sixth mystery featuring Rachel Goddard, a young Virginia veterinarian. Sandra lives in Northern Virginia with her husband, a veteran Washington journalist, and their cats Emma and Gabriel. Visit her website at http://www.sandraparshall.com. When a powerful development company sets its sights on Mason Country, Virginia, as the location for a sprawling resort for the rich, the locals begin taking sides. Many residents see the resort as economic salvation for the small Blue Ridge Mountains community, while others fear the county will become financially dependent on a predatory company. Few oppose the development more vocally than veterinarian Rachel Goddard. She sides with locals reluctant to sell their land and, in the process, complicates the life of her new husband, Sheriff Tom Bridger. When a beloved couple are gunned down on the farm they refused to sell, it seems supporters will stop at nothing to ensure the success of the resort. As the violence escalates, Rachel discovers the attacks are more sinister than they appear. Can she bring the truth to light before her community tears itself apart? Hhmmm . . . interesting. Usually I think more about the meaning of a name than about its popularity at any particular time. Do I wish my mom had chosen another name? Not really . . . I've always been "Joan" so it's hard to imagine being anyone else . . . .
Like Joan, I can't imagine being anyone else, although went I first found Narnia, I so wanted to be called Peter. Mark was the 19th most popular boys name the year I was born. It didn't even make the top 100 list in 2012. I was born Kathleen, which was 11th in popularity the year I was born. My name was changed almost immediately. when my father said, here is our beautiful Kathleen, my mother said, her name is Maureen. That says a lot about my parents' relationship with each other. It also says a lot about my relationship with my name. It doesn't tell the rest of the story of how I became Reine. This is the quick version. Mother: A little girl I saw getting spanked in the dime store. Father: Okay, it's Irish. That's good. Mother: What's wrong with French? Mother: I suppose you want something Russian like your girlfriend in Murmansk. Mother: What do you mean? Love this post (and loved Poisoned Ground, which I was lucky enough to read an ARC of). My name was number 31 in the 1880s, 32 in the 1900s, when my great-aunt Edythe was born -she changed the spelling as a young woman to be more chic - and is nowhere in the 1950s, when I was born. I never met anyone my age named Edith when I was growing up, but recently met another Edith about a decade younger in an exercise class of seven people! Love the story of your name, Reine. And in my own writing, I really need to roll the feeling of the name around in my mind and mouth to make sure it's right. Reine, that's hilarious. ANd yes, quite revealing! Joan yes, you're JOan. ANd MArk, exactly! That's why the names of characters in books is so important, right? Edith, were you named afterEdith Wharton? Nothing could be cooler than that. Oh! One of my captcha words is NAME. HOw can that be?? I had to go look up Roberta too--of course that one's never been too popular, and certainly isn't now. There is a Facebook group called "Is your name Roberta"--we all have similar stories--someone wanted a boy! And yes the cover is stunning--congrats Sandra! First names tend to be throwaways in both my family and my wife's family. My mother-in-law(Eileen) was born Florence Eileen, my brother-in-law (Michael)was born Francis Michael, my niece (Becky) was born Susan Rebecca. My own name, Jerry, comes in some twisted fashion from my middle name Harold. My first name (Ralph, in honor of my father) has never been used except on official documents and not even then if I can avoid it. And then, there is always my evil twin brother Yrrej. I'm struggling to come up with a name for 2 characters in a new book. Going to Greek mythology... I like Hecate (sometimes a witch/hag, but also guardian of the households and the protector of all that was newborn) but what name would that get transformed into? Help! I have gone to that web site to see how names are trending and saw the uptick in mine. I never met a single other person named "Hallie" until a few years ago and it was a baby. My parents named me Kathy Lynn, which meant I spent my school years saying "No, it's not a nickname. It's really Kathy." The name I always wished for was Kaitlyn, so now I have the best of both worlds. What a fun post. I went and checked and my name was at its highest popularity in the ten years or so before I was born, and if my mom had spelled it in the more traditional way with a "z", it would have been much higher in the rankings. Sandra has always been a fave name of mine too - it belongs to my little sister. And yes that is a pretty book cover, almost hard to believe that murder lies inside. I went to grade school in the 1960's, and Nancy was NOT a cool name. I longed to be a Cathy or a Karen or a Lisa--those names were popular and groovy. Nancy was old-fashioned and cornball. But I've revised my position on old-fashioned names over the years. We named our daughter Martha, after my mother. And for my protagonist in Code of the Hills, I chose Elsie. Karen - never really liked it because there wasn't a nickname that went with it. I'm surprised that it's still in the top 200, #16 in the 40s when I was born. Oh, it;s so generationa. When I was a kid, ALL the cool girls were Debbie and Linda. Now they are Emma and Ella. And Sophie. All of my recent interns are named Jessica. You would not beleve how many! Jerry House, I am still laughing at your post! I just named someone Brileen. I'm deciing her parents conflated Brian and Colleen, grandparents. But in real life, it's the name of a very cool young woman I just met, so, wth her permission, I stole it. Sadly, she's turning out to be somewhat of a villain. The name still fits, but I hope she (the real Brileen) is not unhappy about this. But who knows what will happen, right? Ah names. I was named Joan Elaine. My primary babysitter was my aunt who hated her nephew's wife Joanne. She refused to call me Joan so I became Elaine. My dad told my mom, it's ok, let her be Elaine, because my aunt was the only girl & quite spoiled with 5 brothers. My mother grudgingly went with it. So I was Elaine until later. However - I've been Jody for over 40 years now. Jody was my mother's pet name for me, even though my brother swears he never heard her say it! When I met my husband on a blind date, I gave him the choice between Jody & Elaine. He picked Jody. I've been Jody ever since. The other guy on the double date with us remembered the Elaine & still calls me that. I don't answer to Joan. My relatives can get by with Elaine, but I'm Jody. I've known how I wanted to spell it since I was in elementary school. I clicked the link and was amazed to see Brenda was #13 in my birth year. It's never felt like a particularly popular name to me, at least not like one of the ubiquitous 1950s names,(Debbie, Donna, Diane, Susan, Kathy) but the official record proves it was nearly in the top ten. Popular culture obviously plays a role in the popularity of names. In my case, Brenda Lee didn't Rock Around The Christmas Tree until a couple of years after I was born, so I put my bet on Brenda Starr, the glam newspaper reporter with her hot boyfriend Basil. (Now there's a name.) As Brenda's comic strip faded, so did the popularity of our name. It now perches at #538. In any event, Sandra, I've heard great things about Poisoned Ground, and look forward to settling in with it soon. James is a family tradition as I am the 7th in a row (and my son the 8th) although we use different middle names and alternate generations go by their middle names. My favorite family naming story is this: If I had been female, I would have been named Katherine. I have two younger sisters, Janice and Judith (Judy or Jude unless you are mad at her). So you may ask, what happened to Katherine? We hda Katherines on both sides of my family. Turns out on my mother's side Katherine was called Katherine -- no shortened form. On my father's side Katherine was never used, only the shortened form Kate. They figured that out after I was born. For this reason alone, it was probably good I ended up with X and Y chromosomes. Go back 50 years, and Mary was the second-most popular girl name. Today it's 123. Aside from my daughter, I don't know any other ones. Michael (my son), has enjoyed steady popularity, staying in the top three from 1963 through 2010 (now at 8). I name characters based on how I see their personalities. My male lead is a direct, no-nonsense guy (Jim). My female lead knows what she wants, has an opinion, and isn't afraid to go after thing (Sally - given name Sarah Marie, which I recently learned she hates). But yes, when the name doesn't fit, the character fights me. Varying the number of syllables is what always gets me. I'm drawn to one-syllable names a lot and that gets repetitive. I'm totally happy to be Jane. I was told, in my 20's, that I "didn't look like a Jane". The guy who said it didn't seem to like my name. I like the name. It's short, and easy to spell. I always thought the name sounded adult, strong, and serious, and that suits me. My family called me "Janie", and I thought that was my name until I started school. My first grade teacher informed me that my real name was "Jane". I went home and yelled at my parents for lying to me...and insisted on being referred to as "Jane " from that day forward. Cousins and friends of my mother still refer to me as "Janie", and so does my mother...but not to my face. She hasn't addressed me that way since my first grade protest. Occasionally, someone I've just met will call me "Janie"...but never twice. I like my middle name, also. "Ellen". "Jane" and "Ellen" and similar names are sprinkled around my family tree. My great great grandmother , who was an American Indian, went by the name of Jane Stewart. That was probably not her original name, but She is the origin of my first name. My maternal grandmother had Jane as her third name - Thelma Reva Jane. I have a cousin , a few years younger, who is "Ella Jane". My paternal grandmother was "Ella", and my mother's middle name is "Ellene". My "Ellen" was a compromise between those two. I never wanted to have a different name. I'm just plain Jane. What a fun post this is! I have never been fond of the name "Kaye." I am fond of my full name though, which is "Kaye Alan." That's still how my family refers to me, and some of my old friends from home, and Donald. The "Alan" comes from my Mom's two favorite guys - her father and her husband (my dad). Hank, I love that you wanted to be called Hyacinth. I know that will pop into my mind whenever I see you now. Hated hated hated my name — it's just Joni, no middle name, not short for Joan or anything else. It was a last minute name, as I was supposed to be a boy named Thomas Overton Jackson. My parents had no girl names in mind. So mom is lying in the hospital bed the day after I was born, and the popular '50s singer Joni James came on the radio. Mom really wanted to leave the hospital, and they wouldn't release her until I had a name… so she thought, hm, Joni James, Joni Jackson, that works, that's her name. Done in one. I always wanted to be a Jennifer. And when high school ring time came around, the jeweler refused to engrave only two initials (WHT? ), so I stuck another J in there and got my Jennifer. What is so interesting to me is that even though my name in it's more common spelling is always shown on these lists to be fairly popular (in the 1970s it was never lower than #5 and over 50 years never lower than #144) I rarely meet Amys. I've met maybe two dozen in my life. I don't know if the name is more regionally popular in other part of the country but I don't see them here. My PTA should be awash with them. I should be bumping into every time Starbucks hollers out the name. Yet, I cannot find them. As for if it suits me, I've never felt it does. I just don't feel like an Aimee/Amy. Others have shared that sentiment with me too. Oh well, it's too late to change it now. 2. Be careful that all of your characters' names don't have the same number of syllables/rhythm. 3. Beware of what I call "Russian novel syndrome" and don't give your characters too many names, nicknames and/or titles (as in Helen, Elena, the Countess, Lady Grinkov, etc.-- all the same person). Your readers will become confused. 4. Although names (Beverly, Sydney, Evelyn) often change genders, don't pioneer this in your book. I never got used to the main rabbit, Hazel, in Watership Down, being male. 5. You can tell a lot about a character's ethnicity, background, generation by a name. At a high end restaurant, we were once served by a (male) waiter named Sunshine. Guess whose parents were hippies? Names are fun and interesting to work with. I use mine professionally (in WI, once you are admitted to the Bar, you have to petition the Supreme Court to let you use another name), but I hate it, and when salespeople repeatedly call me by it, I become annoyed-- not the best way to get me to purchase your product. I'm always surprised by how many people dislike their names -- and by the names they would rather have. We definitely don 't see ourselves as others see us! By the way, I think Ellen is a lovely name. Ellen is only a lovely name for Scarlett O'Hara's mother. It makes me uncomfortable. Salespeople are trained to repeatedly call you by your name. If they only knew my reaction, they'd never do that. The story in my family is that my mother was to name the boys and my father was to name the girls. My older sister got Katherine Ann (Ann being a family name). My father was an airline pilot and was off on a trip when I decided to come early. Although my mother knew how to reach him (He was supposedly in Chicago (?) at a baseball game where there was an unassisted triple play--apocryphal? Possibly) but her mother wouldn't listen to her. After all, she was having a baby! I was born in a Catholic hospital and, as a preemie, the nuns were worried that I might not live. They wanted a name NOW! so I could be baptized. When they finally got my father on the phone he said, "Name her after her mother." So, I became Martha Elizabeth. My mother went by Martha and I go by Elizabeth (Libby, really). This was fine until the computer age. 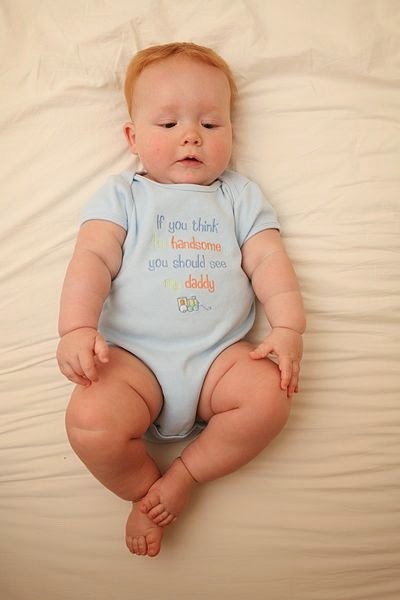 DO NOT name your child with the intention of having them go by their middle name. The confusion is amazing. I could tell you some silly stories. I'm another Roberta, daughter of Robert, born in 1942. I don't know about the rest of the country but in New York in 1945 Jane was incredibly popular. I remember that in one grade school class there were five or six of us. I hated having the same name as everybody else. Nowadays I might have decided to use my middle name - my mother's maiden name, Winter - but back then I experimented with a lot of different names. At 16, inspired by Fabian's girlfriend, Jana Taylor (how do I remember that?) I came up with Jayna and I made it stick. Eventually I had it changed legally. Ellen Kozak's advice for writers is excellent. I used to make many of the same points when I was teaching at Stonecoast. I recall one student, a guy maybe my age, who was writing a contemporary story about a 12 or 13-year-old boy. All the kid characters had names like Jimmy, Billy, Mary and Sally. I thought his story was set in the fifties until I ran across a reference to a cell phone! Another student had given all her main characters - every last one - a name beginning with J. They were names that appealed to her, and she hadn't realized how deeply confusing that would be to the reader. I keep a name bible for my series. Everyone who is in the current book, and everyone I introduce as a new character, is bolded for the duration of the book. Characters are divvied up by their primary affiliation, so the sections of the bible are St. Alban's Church, The Police Department, Townsfolk, Living Away, Villains and The Honored Dead. I also entered all my character names on a spreadsheet, sortable by first and last names, and I keep track of the numbers of characters whose names start with each letter of the alphabet. I still wind up with books where a couple minor characters have the same first name, but you know, in real life? There's more than one Bob out there. What a fun post! And love the comments. I've never thought my name suited me and have had lots of nicknames over the years: Terrance, "T" (currently in use), Mickey and Mike (middle name Michele), and my all-time fave "Chickie Lou." My mother started a feud with her sister-in-law that lasted at least forty years when she "stole" the name my aunt had intended to use for her first-born son. Why they couldn't have both used the name pretty much defines my family--any old excuse for a feud. Hi Sandy! So nice to see you here. I have your ARC next up on my TBR pile--can't wait to read it. What a good post. I do all those things with names--check to see if it fits the age of the character as well as the "person." Of course, British names are a little different, and also because London is so multi-cultural I have to look up most popular Muslim names and Hindu names, etc. As for mine, I keep waiting for Deborah to come back into fashion. I like it, and I like Deb or the British version "Debs." I HATE Debbie, which is what I was called growing up. When I published my first book, I banished "Debbie." Now only my in-laws (who have know me since I was a teenager) my aunt and my cousins get away with calling me that. And when people who don't know me assume that I go by Debbie, it really irritates me. We are so funny about how we perceive ourselves, aren't we? I was very surprised that my name - Denise - was in the top 100 from 1950 to 1982. I rarely meet someone with my name, and, as a child what I really wanted was letter in my name that went above or below "the line." (Harking back to handwriting.) Girls named Sandy or Kathy could twirl that last "y." Going to Catholic school, I also craved a better saint than the relatively unknown French St. Denys (who was also, by the way, a man). I wanted Rose or Theresa. But I have generally been happy with my name -- distinctive and melodic, and unusual. The book sounds terrific -- love to read about locals facing down the evil developers! Patricia was #3 when I was born. No surprise there. I used to have at least 2 other variations of my name in my class in school. Not really being a Patricia, unless I am in trouble, I have other aliases: Trish, Tersh, Pat being the main ones. Pat to husband and friends. Trish or Tersh to family. I absolutely hate salesmen who think they're being friendly by calling me Patty or Patsy. If looks could kill they would be steaming little puddles. Because there were so many Patricias, not to mention Patricia Anns, growing up I wasn't really enamored of my name. But it could have been worse. I still remember a classmate's mother bringing her new baby sister to kindergarten one day and introducing her as Sweetie Pie. I am a junior and always disliked it. The only thing I dislike more is when people call me Chuck. My father was a little upset but her thought process was that A) the first son born had not lived & B) there was no chance of another so she wanted to name me after him. So, as much as I am not thrilled with Charles I think it was preferable to my dad's friend's name - Rudolph. Thanks Mom! I think I may have shared this story here before, but my brother's name is interesting -- T.Geoffrey -- my father was Thomas (as was his father and grandfather), but my mother refused to use Thomas. She agreed to the initial, because they could not agree on another "T" name. And of course, she used an unusual way to spell Geoff. All his life, until he dropped the T, he had to explain -- "T- period - G-e-o-f-f-r-e-y." My mother, both grandmothers, one great-grandmother, and I have the same first and middle names. When my oldest was born, I tweaked the tradition by reversing the order and gave her the Irish form of the name. My second daughter got an Irish form of the other great-grandmother's name plus a name that has been used by males and females for a few generations. My husband didn't want a "junior", so my son's first name is one we liked and his father's name is his middle name. My mother-in-law hated her first and middle names and was emphatic that they not be passed on. None of my children have nicknames. I love these stories! Who'd have thought there was all this drama behind our names! Lora is short for Loretta, my grandmother. My mom thought Loretta to old fashioned for a baby. My oldest is Parker; he is named after my grandfather, and I curse Rosie O'Donnell for making it popular. What a fascinating topic today! I was named Kathleen after the Irish song I'll Take You Home Again, Kathleen. There isn't an Irish bone in my family's history, English from Stoke Canon, England. However, I've always liked the song, even if I'd wholeheartedly wished that I'd been a Katherine instead of a Kathleen. I could see me going by the full name of Katherine, but never Kathleen. In fact, only one person ever called me that, my stand-in grandmother. When I was just a kid, my family would sometimes call me Kathy Lou (Kathleen Louise), and I didn't mind. Now, when my sister uses that name, it is a nice reminder of childhood. The name Kathleen was #14 in the year I was born. Thanks, Sandra, for providing that link. I will be looking up all the family now. My brother was named after my father, Henry, and, unfortunately, my brother was often referred to as Little Henry (until my father died). Hank, my father was called Hank by his family, and, thus, the name Hank has always been special to me. Reine, your name evolution is so interesting. Love the conversation format you used. Nice to know we shared a name, if only for a short bit. Ellen, I'm putting your book on my Amazon wish list, as it sounds like it would enhance my reading as well as writing. Deb(s), I was a bit confused as to how some people called you Deb and some Debs, but I usually went with Debs. Now that I know it's the British form, it makes perfect sense, and I shall forever be a Debs user. Sandra, your new book has definitely grabbed my atttention, and it's another wishlist item for me. And, thank you for such an interesting post today. Loved it! This is such fun! My class in school was the year of the "-y" and "-ey" names: Stacey, Tracey, Jenny. Oh, how I wanted to have one of those names! It took a very long time to grow into my name and appreciate it's relative rarity (and a lot of experiments on the way--Pammi, Pammy, Pam, La-la. . .). Of course, I finally settled into Pamela, and so many wish to call me. . .Pam. Which I'm not so fond of, really. Hecate=Cate or Caty, I think. Oh, Hank, there is SO much drama in naming babies! I've known families with longstanding rifts caused by a child's name. If a baby is named after a grandparent on one side, the grandparents on the other side may hold onto their resentment to their dying days. I feel kind of sorry for kids from families where the same names are used over and over down through the generations. I even feel sorry for little Prince George. I was hoping they would break out of the pattern just a little bit, but no, tradition must be followed. Nicknames are a whole 'nother thing. Why is it some people have them and some don't? When I was growing up, absolutely nobody ever called me Sandy. Now that I'm ancient, most people do. Weird. Sandra, as your name is Sandra with a common nickname of Sandy, I wanted to tell this story. When I was in elementary school, I had a friend named Sandy, and she and I had an argument one day about whose name was the most common. Neither of us wanted the most common name then; we wanted to be more unique. So, she insisted that the name Kathy was quite common and that Sandy was unusual. I had to laugh when I look up the name ranking for my birth year of 1954 on the link you provided. Sandra was one notch above me in the top popular names. If only I had had access to those statistics then. LOL! I have always loved names and their meanings and I actually have the Social Security website book marked on my computer. I have always loved my name and been grateful to my parents that I wasn't another Jessica/Jennifer/Stephanie (The most popular names when I was born). Just don't ever call me Mel! I find it hard to read a book where the main character has my name. I read a mystery a few years ago where the killer not only had my name but was twelve years old and a sociopath. I had to change the name to "Melissa" in my head while reading to make it through the book. I write mostly fantasy, so naming characters can be difficult. I want something unique to reflect this world I've created but not so far out there it alienates the reader. Today's celebrities provide endless inspiration. Love the stories about names. I wonder if some names are easier to pronounce than others. For example, there are many J's in my family and these names are really difficult for me to pronounce! The H names are easier for me to pronounce. One of the most difficult things for me is in creating names for different characters in my stories. One of the things that I love about William Shakespeare and Agatha Christie is that the characters fit their names. In Christie, there was a character named Blunt and that person had a blunt personality. Shakespeare had characters with interesting names that went with their personalities. And wouldnt that be a fun name now? To be Agatha? Kathy, we can always call her with the news .... :-)! When I was writing my science fiction series-- on short deadlines-- I needed a name for the native heroine (as opposed to my series heroine, who is consistent throughout the series). She is a member of the military. I went through lists and lists of names, and came up with Dania. I sort of liked it. Then I had to name minor characters. I pulled out the list of post offices in Wisconsin, and gave them names off the lists of smaller towns. When Wisconsin people read the books, they get the in-joke. Everyone else thinks they are cool other-planet names. What a great topic. I hated my name, Martha, until I was in my late teens. I petitioned to be called Tammy, which was, in my 12-year-old opinion, much better than my old lady name. My father pointed out that I would have the last laugh in the nursing home. When writing my first book, I discovered late in the first draft that I had given almost every character a name that began with J. That changed! I also tried to change the name of a secondary character, but my writing group protested, claiming that this character, personality wise, could only be a Dave. I started to use a phone book to randomly pick first names, and things improved. Hank, you are so funny! I wonder why I even remember that argument with the Sandy. Oh, and Hank, I briefly considered the name Agatha for my daughter born in 1983, because I was reading through all the Christie books at that time. Although my husband and I wrongly thought that Ashley would be unique enough that year, my daughter is grateful that I didn't go with Agatha. Hi, Sandra! I'm so looking forward to reading POISONED GROUND. This was such a fun topic. The year I was born, Linda was the most popular girl's name. My parents never intended to call me Linda, though. My whole family called me by my middle name Lynette until I entered school and the teacher insisted that I must be called Linda. It's never felt right to me. Besides, in every class I was in, there were six or seven Lindas. I always hated the loss of my "real" name. If I ever take a pen name, it will be Lynette something or other. I arrived very early (for the 1950s) and with a twin that was not expected. They didn't think either of us would live (my twin died shortly after birth) and my mother wasn't expected to live either. The priest came and baptized me and my sister and gave us all last rites. My parents didn't yet have a name picked out, let alone two,, so the priest (who was Irish) named us Margaret and Mary. I became Peggy--a very popular nickname in the 1950s. I've shortened it to just "Peg" but I don't think it's made the list since the 1960s! Debs, by the way! One friend occasionally calls me Debs.) Just don't call me Debbie! Many of my relatives still do, as well as many people who have known me for a long time. I'm in the same situation as Kathy Lee Emerson. Sherry isn't short for anything. My dad was a math teacher and I was named for his favorite student. The only Sherry, Sherrie, Shari, Sherri's I've met have been about the same age as me. My name is not listed. Considering it's a combination of Joanna Dru. Kathy Reel, Nice coincidence—our names. Mine lasted, I think, 3 days. I don't know why for sure, but the powers of Salem Hospital kept me from my parents. I think it was because of my mother's illness. For whatever reason they put me in isolation for 72 hours. That was when the big name-changing saga of my life began. When I was a teenager I asked my mother why she changed my name from Kathleen to Maureen. She said that first she had changed it from Katherine to Kathleen, because she didn't like Kate Smith. Then she changed it from Kathleen to Maureen when the nurse told her that she would be bringing "little Kate" to her. I never thought of it before now, but that must be why she was so annoyed when I watched Kate Smith on TV and loved singing God Bless America. Poor Mummy. Linda, now I want to call you Lynette. Dru, the name Joanne Dru was a Hollywood invention. Her real name was Joanne Letitia LaCock. She was born in Logan, West Virginia, an area I once lived in. Anyway, Dru is short for Drucilla or Drusilla. You should try looking that up. My best friends when I was growing up were named Sherry, Cherry, Cheryl, Marcy, Louisa, and Sheila. We were all the same age, same grade in school. I've since encountered many Sheilas but few women with any of the other names of my childhood friends. Yay, another series to read!! Thanks, Sandra! My given name is Flora. People who make me grit my teeth try to call me Flo--usually never more than once. Hated my name when I was younger because everyone who heard it expected me to be a white-haired little old lady. It turns out it ranked 417 the year I was born--who knew? And for a living, I analyze faunal material--so my name always gets a laugh in archaeological circles--everyone says my name should be--wait for it--Fauna. haha. Character names are so important--when a name doesn't fit, the story goes nowhere for me as a writer. I'm Sal when I'm not Sally, but mostly Sal online beginning in the early days of bulletin boards and Usenet, when I'd get hit on something ugly because of the girl's name I carried. Once my name sounded more like a guy from Jersey with a beer belly and a cigarette hanging out of his mouth, I got far fewer inappropriate notes. I've known only a few Sallys and most of those were actually Sarahs, but I'm just Sally with a Joan thrown in as the middle name. I never much cared for either growing up but have grown to love Sally/Sal. But the parents decide Mary Jane might not be an appropriate name after all and settled on Sally Joan instead. I wished growing up that I was an Alexandra/Alex, a Katharine/Kate, an Anastasia/Staze, a Christina/Chris. Alas. We were on a trip years and years ago with a group of people we'd just met. Sometime during the trip his nibs said something about his cousin Brooksley. Another woman said, "Is your cousin Brooksley Born?" When his nibs answered yes, she said, "I met your cousin through my dad, who is also an attorney, when I was a teenager. I thought she had the loveliest name. I named my daughter Brooksley because of her." So there are at least two Brooksleys in the world. If I pop "Brooksley" into Google, the Brooksley who shows up the most frequently is the cousin. There is a 34 year old Brooksley in San Francisco who's modelling. Being as the woman who named her daughter lived down the Peninsula, this may be the daughter we first heard about in 1994 or so. Oh, I bet--but of course Martha is now the coolest name..everyone has read ICE SHEAR, right? Martha's book? It's so fabulous..
Linda, I will call you Lynette. Sure. we all will. ANd strangely I have started thinking about Roberta as Lucy. I know, Sal. For years, I really really wanted to be Kate. And I LOVE Flora. LOVE. Hallie is Harriet? SO interesting! huh. Cosmic. Sandy/Sandra--thank you for a wonderful day! What a terrific blog..and I hope you are selling piles of your wonderful books! I think you found many new readers today.. Keep us posted on what happens next--and you are welcome any time! It's okay, Hank and Reine. You can go on calling me Linda, but when I do take a pen name, I'm going to be like Rhys and just become Lynette permanently. Sandra, I had never heard of you until I went to my first Malice to accept the St. Martin's/Malice Domestic prize. One of your books--I think Disturbing the Dead--was in the giveaway bag. I read it and fell in love, had to run out and get the rest of the books and have had to buy more because I keep giving them away. To anyone here who hasn't yet read Sandra's books, tun to get them. You are in for SUCH a treat. Penny was 181 the year I was born. It hasn't been in the the top 1000 for the past 14 years. I hated it when I was a kid it seemed everyone or their Grandma had a dog named Penny. And there were all these adults insisting on calling me Penelope. Not my name. I don't remember what I wanted to be called. And now. I'm used to it. I still don't think it's a great name. But I can't think of another one. I love all the comments on this one. When I was pregnant with my son, names were the topic du jour, and everyone wanted to comment. 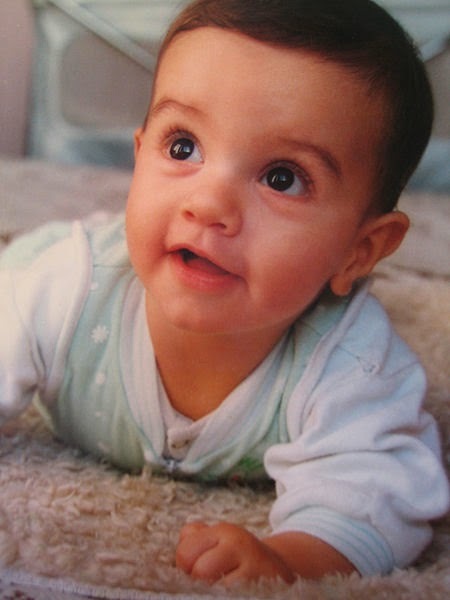 A lot of people gave us a hard time because we didn't name the baby before he was born. My mother-in-law said she "couldn't bond with him." But like Hank's mother - I had to see him first to make sure he looked like a Henry! He's named after Henry from The Time Traveler's Wife, and it's also a reference to Henry V. His middle name is James after my father and James Kirk. I wanted to name him something that was easy to spell. Between my given name (Cari) being spelled as Carl and Carol and Carrie and whatever other variation you can think of, coupled with it being short for my legal name, Carolyn, I can never tell who I'm supposed to be at any given time. Add a last name that no one can pronounce, and naming is definitely a fraught topic for me, too! It's much easier to name characters! Thanks so much for hosting me today, Reds! I've thoroughly enjoyed all the comments. Cathy Ace on location, location, location! History Mystery: What's in Your Computer? The Jungle Red Casting Couch. Kind of. A Matter of Trust--What would you do? What Rhys is doing... probably sleeping.